We manufacture a wide range of aluminum bottle thread forming machines that have gained huge appreciation in the market for their host of qualitative features. The entire range of aluminum bottle thread forming machine is manufactured using qualitative material sourced form trusted vendors. We offer these machines in various specifications and can also be customized as per the requirements detailed by the clients. The manually operated thread form machines we offer finds extensive application in diverse industries and have achieved tremendous accreditation in the market. 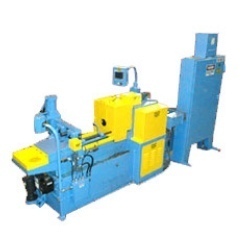 Manufactured using premium grade raw material, these machines are available in various technical specifications that can further be modified as per clients requirements. 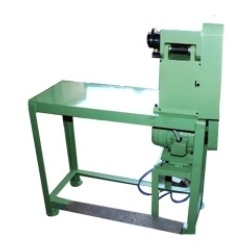 We are one of the prominent manufacturers and exporters of optimum quality Automatic Thread Forming Machine that are widely acknowledged for their exclusive attributes. These machines are extensively used to form the thread. Available in various specifications, our gamut can also be customized as per the specifications detailed by the clients. Looking for “Aluminium Bottle Thread Forming Machine”?